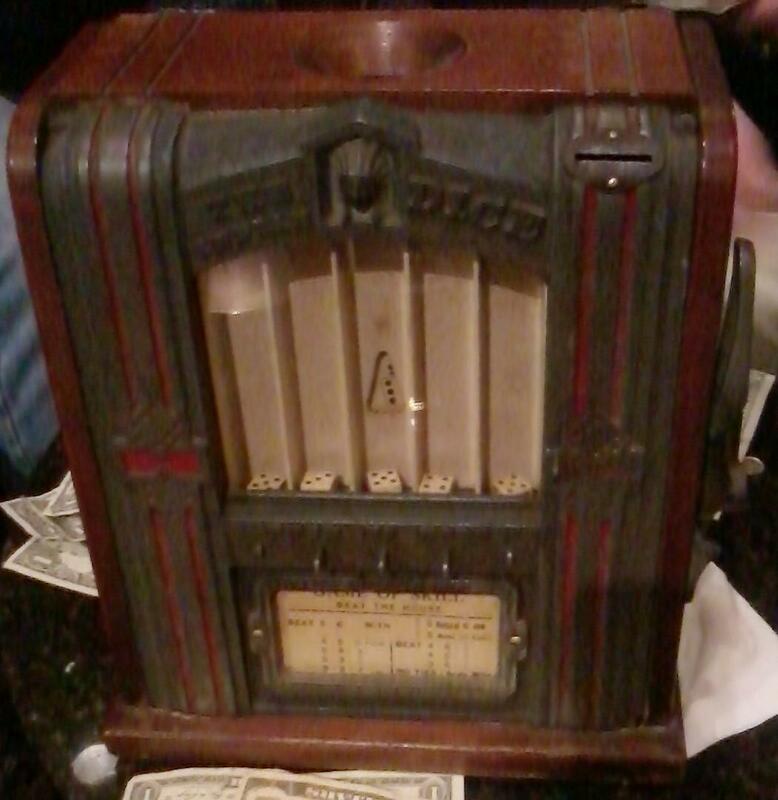 Description: Indian Dice, Gottlieb, 1928 to 1932, a trade stimulator (meaning it operates like a slot machine but does not pay out.) Has five dice in vertical columns. Put a penny in the coin slot, pull the handle, and the dice are shoot up their columns throwing the dice. The player than can push levers under each dice column to keep none to five of the dice. A secondary lever is pushed to re-throw only the desired dice. The object is to get the best "hand" (as in poker hand.) 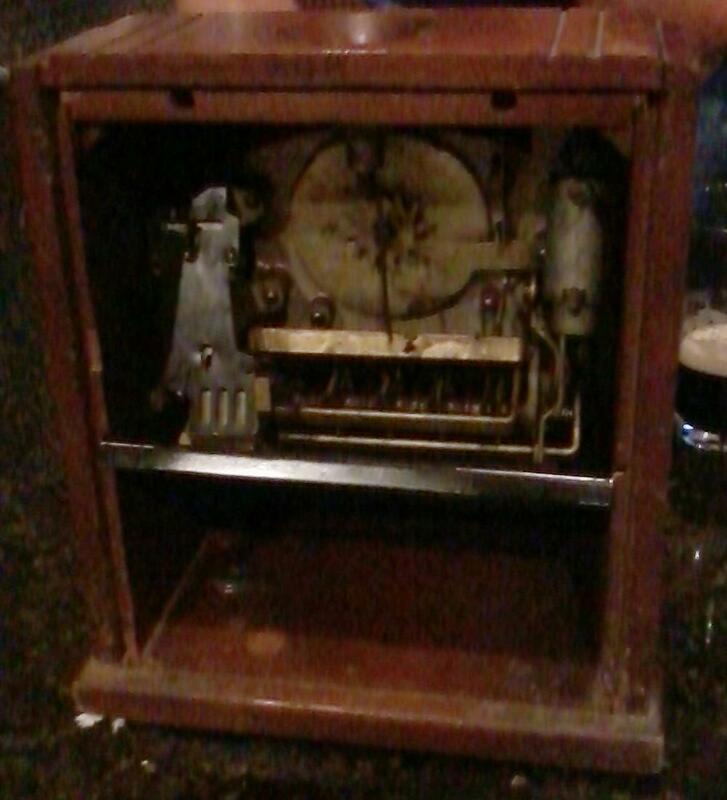 Known as the Gottlieb Indian Dicer because there is an Indian head in the metal casting at the front top of the game. This is clearly a gambling device (though the machine does not pay out.) The score card claims the game is a "game of skill", which is a bit of stretch, since the player has no control over how the dice roll.